Today I’m going to share one of those simple but foundational teaching ideas. It’s called The Zone of Proximal Development. It is Vygotsky’s concept that basically says that there are things a learner can do on his own, things he can learn to do with help, and things he cannot do yet! For example, I started learning how to drive when I was in high school. I wanted to be a good driver. I took lessons, my parents gave me tips, and I learned pretty quickly. However, there was one thing that I couldn’t get quite right: parallel parking. Mine was the car going back and forth, inching in by increments, hitting the sidewalk again and again. It was pretty frustrating, and especially embarrassing if I had any audience to witness my incompetence. It wasn’t until a friend sat in my car and gave me the crucial tip to wait until the side-view mirror lined up just so with the parked car in front, that I finally figured it out. He got in the driver’s seat and showed me, and then he then sat in the passenger’s seat and coached me while I tried again. Soon, with his help, I was a parallel parking pro a lot better at it. I was in the zone of proximal development for parallel parking. There was a good amount of driving technique I had down, but I needed some coaching to get parallel parking down. A friend was there, he saw what I was doing, knew how to fix it, and showed me the way. That’s it, really. As a teacher, your job is to know the things your student can already do on her own and then help her to take the next step and learn something new. You see where I’m going. It’s one thing for one person to coach another person and help scaffold the learning process in one subject, like a piano teacher teaching a child piano. But it’s another thing for one person to teach 30+ people effectively in several subjects, like an elementary school teacher in a public school classroom. It’s easy to say, “Know your students really well, and help them get to the next level,” but when you factor in the number of students and the number of subjects you have to know them in, it’s clear that one teacher cannot do it all. This is why your child comes home with math homework that he doesn’t know how to do, or why your advanced learner complains that school is boring. Ideally, a teacher would be able to pinpoint each students’ ZPD in every subject and teach them all in that place, but it doesn’t always happen. We try. We really do. I always did, but I know I wasn’t always successful. One of the greatest difficulties with schooling is that children are expected to move forward whether or not they have mastered a previous concept. I recently went to a talk by Salman Khan (of The Khan Academy) where he likened the teaching process to building a house. Imagine if you hired a contractor and gave him three weeks to lay the foundation. At the end of three weeks, he says he’s not quite done– he needs more time to finish. Since you’re on a schedule, you decide to move forward without finishing it. (Bad idea, right?) You hire a new contractor to build the first level upon this incomplete foundation, again with a 3-week deadline. The same thing happens– at the end of three weeks, it’s not done. He asks for more time, because he wants to do a good job, but you opt to move forward instead of letting him finish the job. You get yet another contractor to start the second level on top of the incomplete foundation and wobbly first level. This is a total paraphrase of what he said, but the general idea is there: THIS IS A BAD IDEA! You need to lay a solid foundation, or the whole house is going to be shaky! It’s more important to spend the time investing in solid foundations than it is to rush forward to meet deadlines. Unfortunately, that’s pretty much how the school years go. Teachers are given a class, a bunch of standards, and a deadline. The students are almost always moved on to the next grade and the next teacher, whether or not they have mastered the previous concepts. This is a problem. A bigger one than I know how to fix. But I do have some suggestions for how you can address it with your own child at home. How can I apply this to my child at home? If your child is coming home with 2-digit times 2-digit multiplication problems (e.g. 38 x 17) and is completely flustered, you shouldn’t just keep showing them the same algorithm again and again and again and again, hoping that eventually it will just click. If they haven’t mastered more foundational concepts first, then they won’t really have a good understanding of this one no matter how many times you try to show it to them. 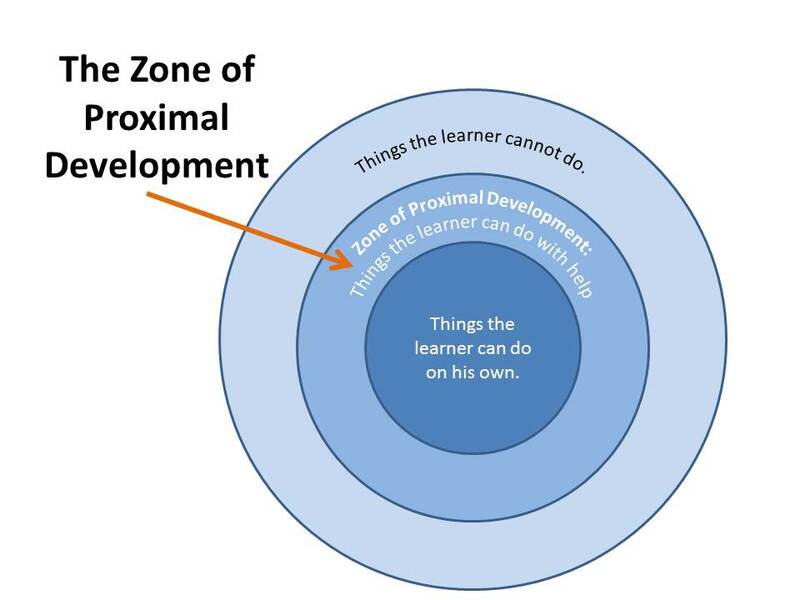 Instead of trying to force this procedure on them, find their zone of proximal development. Determine what they do already know well, and then work from there until you reach the zone where they can successfully master a new concept with your help. Maybe that means going as far back as reviewing addition, and saying, “So I know you get what 4 + 4 means, right? You’re adding four twice. What about 4 + 4 + 4? Yes, you are adding four three times. Well, multiplication is basically a shortcut for addition! When you do 4 x 2, you are just adding 4 with itself twice. When you do 4 x 3, you are just adding 4 with itself three times: 4 + 4 + 4 = 4 x 3.” Use visuals, starting with what they already know, and then take them to the next step. Once they master this concept, then build on it and move on to the next one. The key word here is building. You are building upon other concepts, so if those foundational concepts are shaky, a lot of concepts to follow will also be shaky. Go back and master the more basic concepts before building on top of them. If it’s math your child is struggling in, use great (and FREE!) resources like The Khan Academy as a map for which concepts to cover next, or just get your child her own (FREE) account. By the way, I seriously think The Khan Academy is one of the most exciting things happening in education right now, so if you haven’t heard of it, I urge you to check it out. If you want to focus on reading, be sure to see if they are reading texts at the appropriate level, and then go from there (more on this later!). If you want to target writing, read your child’s writing! Instead of just giving a new writing assignment, study his current writing to see where his ZPD is (Does he use periods correctly? Is he skipping words? Do the sentences even make sense?) and go from there. Too often, we start from where we think they should be, and keep plodding forward. If your child doesn’t have the basic concepts down, though, the new material will not be learned well. Whatever the subject is, always start by knowing what your child has actually mastered and build on that. Arg. I *had* posted a comment, and I guess the internet ate it. Grrr. I thought this was really interesting to read (I read it a couple days ago) and I commented something to the effect of… this is a really good reminder as I work with Munchkin on stuff. And also, I wonder if this principle is why self-directing learning is usually so successful. Like – if the kids wait till they are really secure in their ahhh… center skills (the internet is also eating the text of your post, so weird) before reaching out for something new, and that self-check, as it were, makes it easier for them to move on. To the Marxist comment above… There’s some comparison between the teachings of Jesus and Buddhist principles too. I’m not Christian, so perhaps I’m just not thinking along the same lines, but it seems like to not use something that is a very useful tool for understanding learning because the originator doesn’t have the same opinions/beliefs is sort of like throwing the baby out with the bathwater. I mean, people use principles from Plato and Aristotle in education too… and they certainly weren’t Christian, but I don’t think we worry about that. Hi Dakota! I have your other comment (and replied to it, too). I don’t know where it went. It has disappeared, along with the whole post. I dunno how to recover any of it haha. Will have to wait til the hubs gets home to ask him about it! But I think it’s in my email, so hopefully I can recover the post and figure out how to get it back up, original comments and all. Hey Dakota! 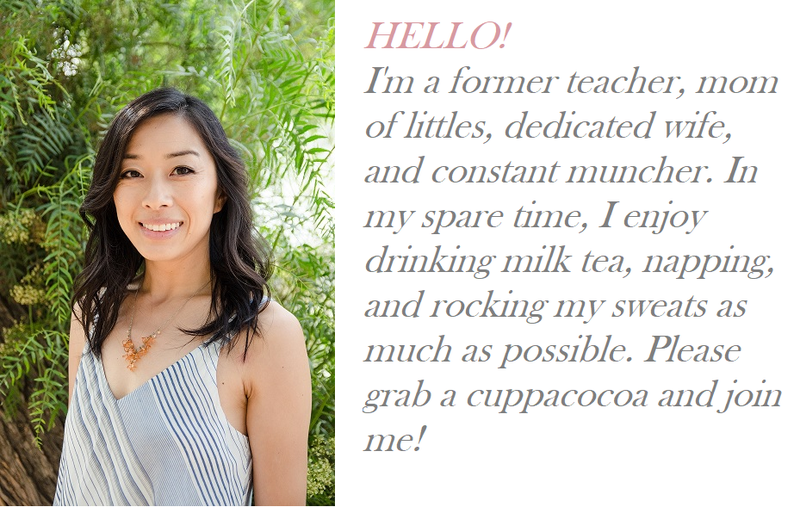 Whew something went seriously weird with my blog– good catch! Ben just spent the last hour fixing it. We had to re-input all the comments and everything! Yipes. But I think it’s all caught up now. Hope that doesn’t happen again…!!! No it was some super weird glitchy thing that had something to do with me uploading two similar photos with different filenames. Seriously complicated. Glad that’s over with. If it weren’t for Ben, I would’ve just left it haha. Glad he is persistent in working through problems! Hi JoEllen! This is so funny! The VERY same day that I started studying Constructivism, Vygotsky, and the Zone of Proximal Development for my EDUC 205 college course, you put out a post on the exact same thing! I wanted to share with you something interesting from my textbook. I was shocked to find out that Vygotsky “was a Marxist and that his views represented an attempt to apply Marxist ideas of social change to language and development” (Schunk, 2012, p. 241). In fact, his theory on the Zone of Proximal Development specifically “reflects the Marxist idea of collective activity” (p. 244). I think some of his ideas and educational practices have merit, but as a Christian, it makes me more hesitant to fully align with his theory now that I know what foundation it was based on. What do you think? Schunk, D.H. (2012). “Learning theories: An educational perspective” [6th ed.]. Boston, MA: Pearson Education, Inc.
Hm interesting thoughts. As a Christian, I just try to make sure I’m fully aligned with the Bible. I’m not really concerned about where other ideas come from so long as my foundations are in the Word. So I’m not worried about whether some teaching philosophies I use are Marxist or not, so long as they are consistent with the Word. I consider how Jesus taught his disciples, for instance. Although he might not have called it the “Zone of Proximal Development,” I think he taught in a similar fashion. He certainly knew his disciples individually, knew what they needed some extra support in (Peter getting outta the boat? haha :)), and scaffolded their learning in various ways so eventually they could continue independently. If you study something from Vygotsky’s theory that is contrary to what the Bible teaches, then filter that part out of what you take from it. Hope that helps! This is so clear and helpful! From all of us non-teacher librarians out there, thanks for taking a time to explain the theories and give us the names to follow up on. Thanks, SDL! I’m so glad you find it helpful! Thank you for taking the time to drop off some encouragement :D.
This is an AWESOME post. Even though it’s something that seems like it should be common knowledge, it’s one of those things you tend not to think about so much. What I love is that we’re naturally working on writing letters and letter combinations and sounds… because he wants to know how to spell something. I wonder if the idea of letting the kid take the lead in what they’re interested in works so well because they’re naturally reaching out of that “zone of proximal development?” Perhaps they are subconsciously waiting until they’re comfortable with a base skill before moving on to the next thing? So when the side view mirror is lined up with the car that will be in front of you, turn your wheel to angle into your spot. Then when the sideview mirror is level with the bumper of the car that will be in front of you, start to straighten out. At least I think that’s how I do it… (and yes, I’m sitting in my office chair trying to parallel park right now…). As for teaching, YES, ideally we could teach by seeing where the child is at– not just academically, but where his interests lie– and go from there. Of course sometimes we just have to teach them things they aren’t interested in (yet), but starting with their interests is where some of the most authentic and long-lasting learning takes place. Following his lead when he’s eager to learn will not only help him learn quickly, but will increase his love of learning! I think you’re right about some kids reaching out into their ZPD and taking the lead in learning. If he shows you the way to go, you can really run with that! However, I can also think of a lot of children who were content to plod along at the average pace, when actually they could have probably been pushed more. Sometimes it’s hard to catch that if they’re not vocal or otherwise obvious about it. Children really vary. Some are obvious/vocal about it, and others are very shy/quiet about it. I think the shy ones actually could benefit even more from homeschooling in some ways because their parents could keep better tabs on their ZPDs, whereas in a classroom environment they kind of get lost in the pack. Even if they could cover more material, it would be hard for the teacher to know that. Anyway thanks so much for your kind comment :). I appreciate the thoughtful feedback!